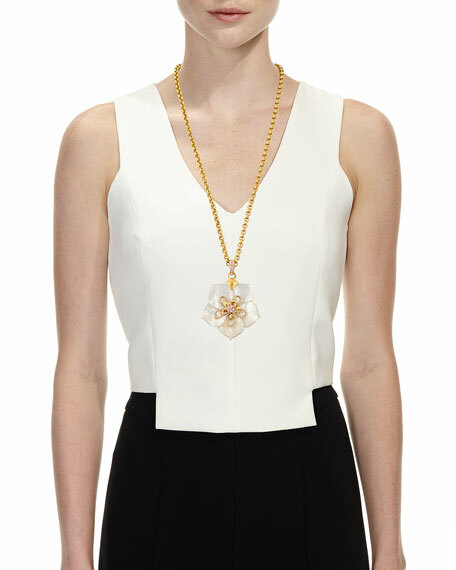 Jose & Maria Barrera white flower pendant necklace. Polished 24-karat yellow gold plated hardware. 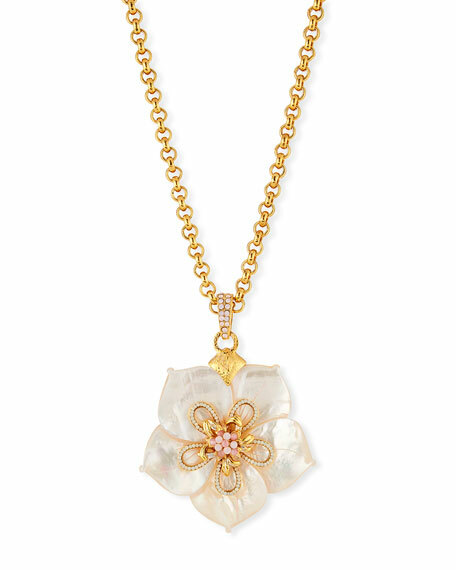 Floral pendant with opal-hued Austrian crystals. Tapered bale with crystal pavé.